In between collaborating with NASA and presenting at conferences across the globe we managed to catch up with Jason who has become a close customer of PCS in the last couple of years. Hi Jay, could you tell us briefly what Nye Lubricants does? Nye Lubricants is a synthetic lubricant manufacturer that is focused on the formulation and development of innovative solutions for our customers. We combine our proven industry experience with deep technical knowledge to develop breakthrough products and innovative new technologies that are focused on solving the industries toughest tribological challenges. Our major industries include automotive, aerospace, in-vacuum semiconductor manufacturing, and medical devices. Why does Nye perform tribology research? How does tribology research aid the aerospace industry? 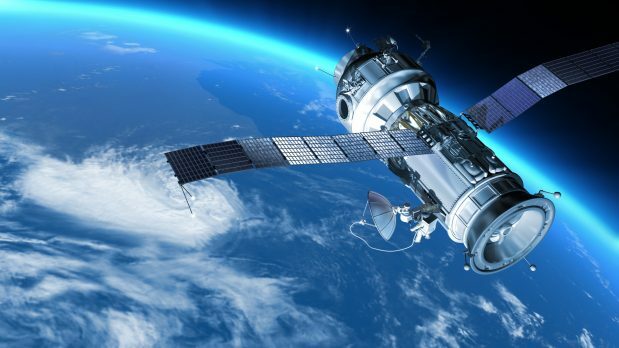 In the aerospace industry, the use of tribology testing is very important whether it be for space applications like a satellite reaction wheel or a component in a missile defense system. As both examples are critical in their own sense, especially as there is no way to service the mechanisms, a lubricant failure is not an option. Through tribology testing of the entire system (metals, lubricants, etc), we can look at a variety of conditions and understand how the tribological system will operate; allowing the design of a lubricant to exceed the life specifications. Currently the main areas of tribological research are focused into scuffing wear, tribofilm creation, and anti-wear & extreme pressure additive technology. These three areas are associated with each other and are required to advance the technology of our synthetic lubricants. This will allow us to improve the durability and reliability of machine elements which will improve their life expectancy and help reduce energy consumption through both production and operation of these mechanisms. How important are standardized test methods in your industry? While we spend a great deal of time with our customers developing solutions that are custom fit to their application (including testing), it is still very important to have industry accepted standardized tests. These standard methods allow for us to engage in discussions with potential customers or new applications where we can relate performance directly to published data or industrial experience without discussing customized testing or how we would expect the lubricant to perform based on different test method data. This is very commonplace in many industries we work in and it is an important place to start for new project discussions. While the 4-Ball wear is almost always discussed in this category, a standardized test surrounding the MTM would be much more useful and meaningful for most of our customers. PCS is very innovative and is strongly tied to the Tribology industry. Their instruments are on the cutting edge of testing technology and the constant stream of new methodologies and equipment they produce continuously allows us to solve the problems arising in industry. The main modifications to tribology equipment that I would like to see are the addition of vacuum capability and higher temperature limits for tests (up to 250°C) as these will really allow the advancement of tribofilm research in extreme environments. What if any changes in the tribology industry have you seen recently or expect to see in coming years? Soon I think that additive manufacturing and 3D printing of metals is going to have a major impact on the Tribology industry. With the emergence of 3D metal printing becoming more cost effective, there is a high probability that more complex geometries, unique metallurgies, and different surface finishes will add to the complexity of tribological systems. This will require a different approach to the study of these materials and surfaces and how lubricants interact with them. Jay’s recently published paper can be found here on the NASA website. Find out more about our range of instruments.